Lack of access to funds for investment in Agriculture is one of the major stumbling blocks that prevent millions of Ugandan farmers from turning the country’s huge agricultural potential into a means to escape poverty. This has also prevented Uganda from using agriculture as an engine for social economic transformation compared to other developing and developed countries with much less natural resource endowment. Despite its importance as a source of livelihood for millions of Ugandans through food production, employment, source of exports as well as source of inputs for agro-processing industries, most small scale farmers remain less attractive to lenders, a scenario that keeps productivity of millions of people very low, hence perpetuating the vicious cycle of poverty. Most farmers depend on their meagre savings for investment in the sector. But quite often, the savings are insufficient to meet the high and rising cost of inputs like fertilizers, chemicals, seeds, land for expansion, as well as the rising cost of living especially the cost of education which erodes the much needed capital for re-investment into farms. Compared to other sectors such as manufacturing and trade, lending to farmers by commercial banks is still considered a more risky venture and therefore attracts very high interest rates. For example, the 2013 Bank of Uganda (BoU) report on credit extension by commercial banks shows that the agricultural sector received just 8 percent of total bank lending. Lending rates to the agricultural sector averaged 27 percent. A 2010 study by the African Development Bank (ADB) on agriculture in East Africa concluded that high interest rates are a major obstacle for accessing agricultural credit in Uganda. In addition, most commercial banks prefer to lend short term and design monthly repayments schedules both of which do not suit the medium to long-term and the seasonal nature of agricultural projects. In an effort to counter the obstacles faced by farmers in accessing credit from banks, politicians are now calling for the re-establishment of the farmers’ cooperative bank to provide cheaper and financially appropriate products to farmers than those currently available on the market. The argument for the revival of the co-operative bank received a major boost during the recent NRM caucus meeting in Kyankwanzi where the Minister for Trade and Cooperatives Amelia Kyambadde put in a spirited argument for its re-establishment as an engine for commercialization of agriculture and agro-processing. However, the idea has been met with mixed views from some sections of the public with some arguing that the cooperative bank collapsed in the very hands of the people who are now rooting for its revival. BoU Governor Tumusiime Mutebile, during the release of the Central Bank’s monthly monetary policy statement this week, expressed as much doubt in the success of the proposed cooperative bank considering that it was there before but collapsed. If the drought of capital to agriculture is a reality in Uganda but the captains of the financial industry continue to remain skeptical about the potential for success of a cooperative bank in easing access to affordable credit, one wonders where the problem lies and how it could be overcome? The Cooperative bank of Uganda, whose main objective was to finance farmers’ cooperatives, collapsed in 1999 following a pile-up of huge bad debts mostly to cooperative organisations that had failed. Nathan Nandala Mafabi, the MP for Budadiri West county and former Leader of the Opposition in Parliament, argues that the government had an active hand in causing the death of the cooperative unions and hence the cooperative bank which had lent out money to them. “In 1998, the cooperative bank was seized by the government because it had failed to collect money it had lent to cooperative unions. But the same people in government had grabbed assets of the cooperatives such as lorries. 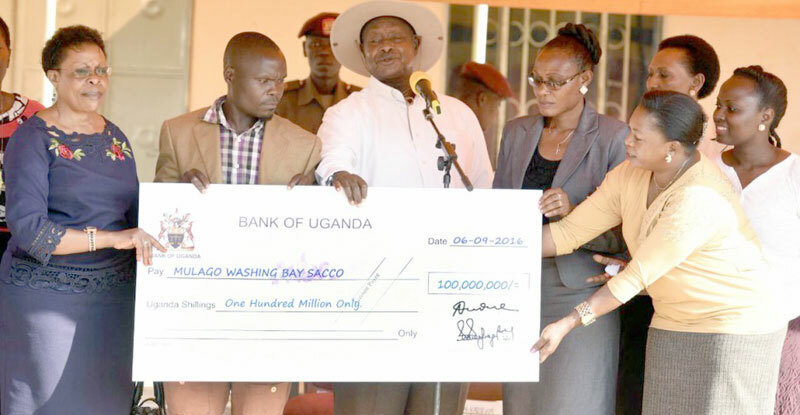 How could they pay back loans when the government was not willing to pay its debts?” asked Mafabi. Recently, perhaps in admission of government’s role in the death of hitherto promising farmers’ groups, President Museveni directed the Ministry of Finance to pay an estimated Ushs 13bn owed to over ten cooperative unions that are now in limbo. The possibility of that presidential directive materialising is, however, doubtable as records pertaining to the membership is likely to be contested owing to the collapse of leadership structures in most of the unions as well as other institutions that would verify the actual beneficiaries and the amount owed. Those who knew the defunct Wamala Coffee Growers Union very well recollect painful memories of how the then National Resistance Army (NRA) rebels led by Yoweri Museveni took their lorries to the bush war but did not return them after the war, and neither did the government compensate the cooperative. Many of the former members of Wamala union are now deceased. Many people in Bugisu know the effect of political interference in the success and operations of any cooperative. Four years ago, the government instituted a probe into the operations of Bugisu Cooperative Union following complaints by some of the members that leaders – who included outspoken Forum for Democratic Change (FDC) stalwart Mafabi, had allegedly mismanaged the finances of the cooperative. The government took over the operations of the union including collecting rent and managing the day-to-day running of the union. Four years down the road, no report has been released to streamline the operations of the cooperative. 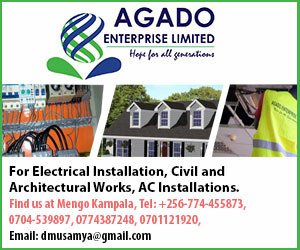 This has raised suspicion among many Bagisu coffee farmers that there was a political or economic motive for the intervention other than streamlining the operations of Uganda’s only surviving cooperative union. Many attribute the recent collapse of the price of Arabica coffee, their major cash crop, to the ‘death’ of their cooperative. According to Mafabi, the union has now lost an estimated Ushs 10 billion which is collected in form of rent and other incomes by government officials.